At the grocery store, you can buy actual potatoes for under a dollar a pound. So a photograph of a potato should be worth… yeah, I guess over $1 million seems about right. Kevin Abosch is probably best known for shooting portraits of the rich and famous. He’s used his iconic straight-ahead close-up with a black background style for photos of a diverse crowd of people including Google Chairman Eric Schmidt, Johnny Depp and Malala Yousafzai. 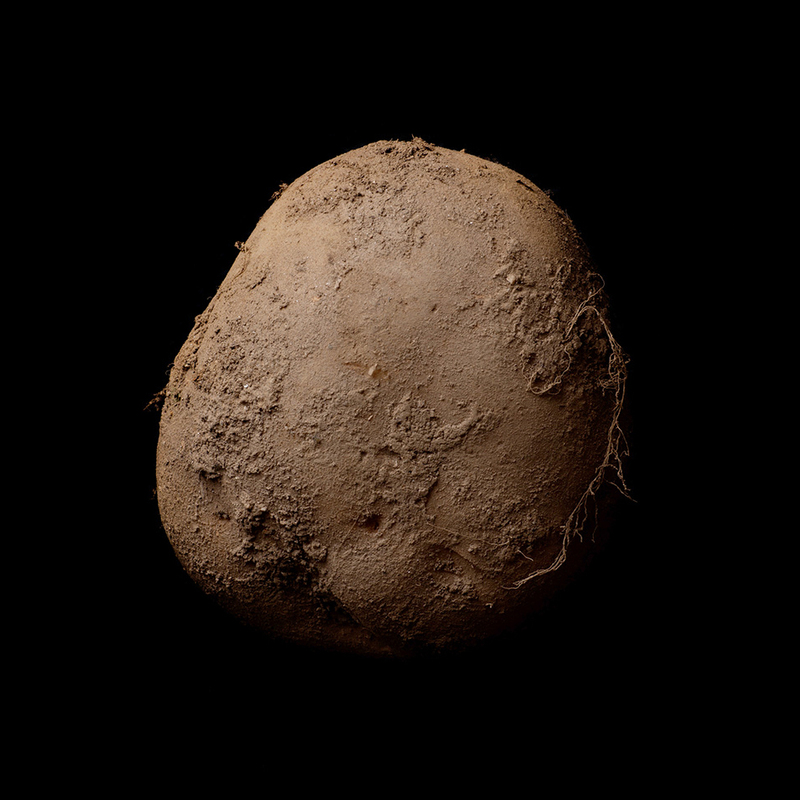 However, in the culinary community, he’s suddenly becoming famous for a slightly stranger project: a photo he took of a potato that sold for 1 million euros. Entitled “Potato #345,” the admittedly well-focused shot taken in 2010 of an otherwise common potato sold last year to a collector for the huge, reportedly non-negotiable price tag. Apparently, the obviously wealthy buyer who has a history of collecting Abosch’s work saw the approximately 5-foot by 5-foot photo hanging in the photographer’s home and decided to pluck it right off the wall – which I guess could in part account for the extremely high price. Not that Abosch’s work is cheap otherwise. According to Business Insider, if you want to join the ranks of the elite who have had their portrait snapped by the photographer, you’re looking at a minimum $150,000 fee. Though if it will make you feel any better, supposedly the potato sale is the highest price ever paid for one of his non-commissioned works. Wait… “many potatoes”? For a million bucks you could probably get some sort of exclusivity agreement that would stop the dude from photographing potatoes.